Taking care of yourself is important, and there's not a lot of time in your busy schedule to visit various salons for all your personal needs. 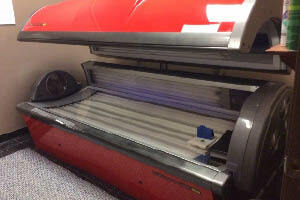 You don't have to--Safari Sun Tanning in Ludington has everything you need under one roof. In addition to tanning, they offer all hair services, nails, facials, waxing, and ear piercing. Their professional, certified staff will make you feel comfortable during your visit, and you'll leave feeling refreshed and beautiful! Safari Sun welcomes women, men, and children into their salon for haircuts starting at $16. Their hair stylists think your hair is an expression of who you are, so let them put their talents and experience to work in creating a new style or cut. Thinking about an entire new look? Maybe it's time to explore a perm...they've come a long way and are much gentler on your hair. Or go the other way and have your hair chemically smoothed. Various color options are offered at Safari Sun, from full color to highlights. For damaged hair, consider a deep conditioning treatment--you won't believe the difference. If you need an updo for a formal event, including a wedding, stop in and let the experienced stylists create the perfect look. You must try the brand new Venus Versa treatments, now at Safari Sun! Laser hair removal uses Intense Pulsed Light with SmartPulse to get down to the deepest layers of the skin and destroy hair follicles. The Acne Reduction treatments uses a combination of blue light, which destroys acne-causing bacteria...and red light, which reduces existing inflammation. Tighten and/or resurface your skin with NanoFractional Radio Frequency that delivers energy through the skin's surface and rebuilds collagen. You can even have cellulite and stretch marks taken care of with one of their body treatments. Safari Sun offers all this right here in Ludington--no need to travel to larger cities! tanning products, some of the best you can buy. 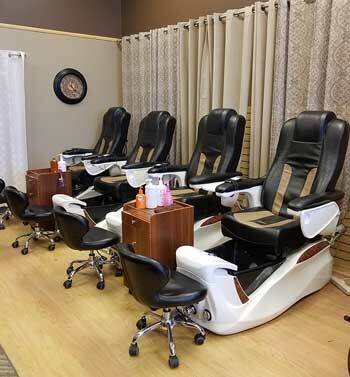 With all the exciting new products available for nails, you'll want to stop into Safari Sun for a spa manicure. Choose from Shellac, Gel, or regular...and consider a color you've never tried before. Nothing is more relaxing than soaking your feet in warmth, so pamper yourself with a spa pedicure. Safari Sun has so many ways to relax you--including three different types of facials. They also offer complete waxing services for the entire body, with prices starting at just $12. Ear piercing can be done quickly right at Safari Sun for $30. Take advantage of Red Light Therapy, which can solve a myriad of problems including fine lines and wrinkles, spider veins, eczema, and pore size. It's just the perfect place to pamper yourself from head to toe--Safari Sun Tanning, located in the Harbor Cinema complex in Ludington. Open Monday-Friday 9am-7pm, Saturday 9am-4pm.